You and I exist to better humanity as a whole. Despite his high social status, Arkana often appears more down to earth than most socialites. Inheriting his father's sweeping, jet-black coloration, Arkana's hairline frames his face in simple fashion, a number of wild strands falling down from the middle, nearly covering dim golden eyes. From his mother, however he inherited a curious stretch of hair along the back of his head, strands of blond instead of black. Heterochromic hair aside, Arkana's face is More often than not set in an expression of confidence, betraying his strong sense of self surety. This may be listed in either paragraph or bullet format. If going for the bullet format, try to list a fairly equal balance of positives and negatives; make sure your character is fleshed out! "It's Hegelian Dialectics, not personal animosity." "What is it that you believe in? What is your reason for doing the things you do?" 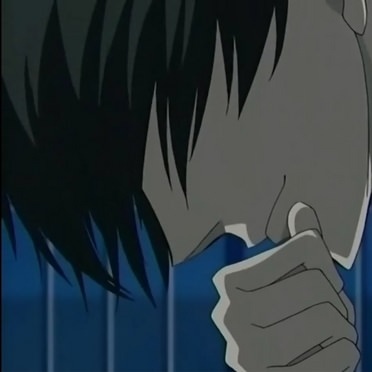 From behind his desk, the renowned businessman adjusts his glasses, touching his finger to the bridge for a moment to place it once more atop his nose. The question posed by this talent scout was not a simple one, born of his own deep, personal confliction, of which the burly, well dressed man across from him was unaware. At the same time, this large and roughly imposing man knew full well the personal level of the question aimed at him, and gave it but a moment of thought, all he needed in order to give a thorough answer. "You've known me for many years, and yet you do not know my way of life? Surprising, especially so for one so astute." Lowering his head with a light chuckle, the burly man turned toward the large window gracing an entire wall of the office room, approaching the clear glass to gaze down upon the city. "Perfection. It is the nigh unapproachable goal that I strive for. That is my reason for being." But the businessman didn't seem convinced. "That so impossible a fallacy should be the driving force behind a man such as yourself... Does that not defy reason itself?" With a sigh, the burly man turned back to face his friend, affixing a stern gaze upon the man. "That perfection is unattainable is no reason not to strive for it. Aim high, and even if your target remains out of reach, you will still soar above the rest. It is the standards you hold yourself to that grants your family such powerful influence in the world of coordinators and idols, Sable Hasan. The same goes for the Dysley line." Arkana's steel gaze remained affixed to Sable, though not as intense upon finishing his statement. The businessman was clearly conflicted on a personal matter, such a matter that he was unable to share even with a longtime confidante and business partner. Nevertheless, Arkana soon broke eye contact and turned back to the window, idly gazing into the dim night sky. Nary a star shown bright, the ill consequence of a city skyline. Meanwhile, Sable, still wracked with some kind of inner turmoil, finally responded once more. "... I see... I think... I think I know what I need to do, then." As Arkana turned back to face his friend, he was taken aback for a moment, as the coordination scout's expression had suddenly hardened into one of still shaky but burgeoning resolve. With a grin, Arkana let out a deep laugh. "You always were unnaturally quick to make up your mind..... I hope that whatever you have planned won't come back to make you regret it." The place reeked of smoke and alcohol, vices of man that Arkana felt he was above. He was not here to partake in poison or venom of the physical kind, but rather a much darker form. Taking up a table in the far corner of the tavern, the large man had positioned himself so that he could witness any approach toward his table, making it even more jarring when his quarry suddenly appeared out of thin air. For a moment, he narrowed his gaze at the black-leather-clad dark man before coming to a conclusion seeing the pair of disembodied red eyes behind the man. "I see. Clever use of its abilities." 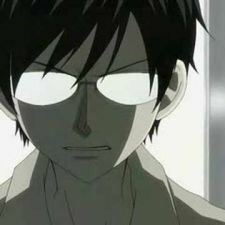 The man merely shook his head, his expression neutralistic yet somewhat irritated. "Let's get this over with. The less I'm seen here, the better. Those Serpent Clan goons have caught my scent." 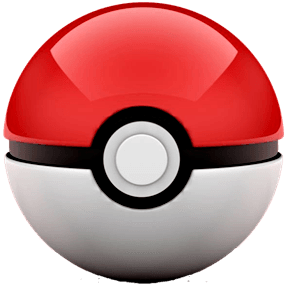 Valteia swiftly reached into his jacket and pulled out a pokeball, sitting down at Arkana's table and setting the ball down, facing the button away from either of them. Keeping his hand atop the ball, the dark man waited impatiently as Arkana reached into his own casual jacket, pulling out a large rainbow colored stone. He couldn't claim to understand why this common thief desired the stone, so much as to even steal something Arkana himself desired in exchange. But only the fool pondered the machinations of a rogue, especially a dangerous one. Placing the stone on the table, Arkana's gaze remained fixed on his trade partner, however the dark man's own greedy gaze was entirely fixated on the stone. Such a strange fixation on an oversized piece of jewelry. Nevertheless, Arkana gave the stone a flick, sending it rolling toward the dark man. He eagerly grabbed it, staring at it with an almost lusting gaze, however his senses quickly returned to him, and with a flick of a finger, the pokeball rolled across the table toward Arkana, coming to a rest in his hand. Verily, the prized pokemon of a decrepit old man. Were Arkana so inclined, he could ask for no small ransom in exchange for such an important possession. But that was not his aim, however. Thanks in no small part to his name and personal fortune, he did not want for money. This region was untouched by his influence, however, and the gratitude of one of Sinnoh's wealthier citizens would serve him much better than simple coin could. "It's not what your are, it's what you don't become that hurts." Home. Arkana Dysley was finally home after years of traveling abroad, developing partnerships and forging alliances in the name of his family line. But his return was a bittersweet one, for he had learned soon after his arrival that disaster struck near his ancestral home. Alterna City had been ravaged only a short time back by aggressive wild pokemon, and while miraculously his family had been spared of any serious injury, a massive swath of the nearby forest was now off limits, rumors floating around about the area being devoid of life in the wake of a great pillar of light originating from the forest. In light of this, he had acquired the attention of a League agent, inquiring as to what was going on. "Do not approach the quarantine area. The sector is under investigation, but major hazards make it unwelcoming to civilians not extensively versed in combat." Such a dull answer, but all the same told him much of what he needed to know. The League is trying to keep something hidden, and whether that is for the benefit or detriment of the people is what Arkana planned to find out. This agent would prove sturdier than that, however... "What of those of us who can handle ourselves? You claim that only weaker trainers are unwelcome." The agent narrowed his gaze. "If you wish to help, Mr. Dysley, you can do so by aiding efforts within the city. They're still finding the... handiwork... of a certain criminal trainer."